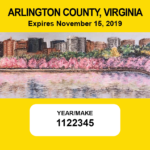 In April 2018, the Arlington County Board revised ordinance (§27.11.1) of the Arlington County code relating to the billing of personal property for motor vehicles, trailers, semitrailers, and boats with situs in Arlington County. Effective January 2019, personal property taxes for vehicles that are moved, disposed of or sold during the first half of the year (through June 30th), will be assessed by the Commissioner of Revenue and vehicle owners will receive a final personal property tax bill from the Treasurer for the tax amount plus the local motor vehicle license fee (as applicable) which will be payable within thirty (30) days of billing. The tax amount is prorated based on the number of months the vehicle had taxable status in Arlington County. The total tax amount due is calculated using the Tax Rate (set by the County Board) and the State Tax Subsidy (PPTRA) amount from the previous tax year. If there are any changes to these amounts for the current tax year, the account will be adjusted appropriately. Prior to 2019, when a vehicle owner had sold their vehicle or moved from Arlington months earlier, there was confusion when they received a tax bill from Arlington for the vehicle which would be due by the October 5th. 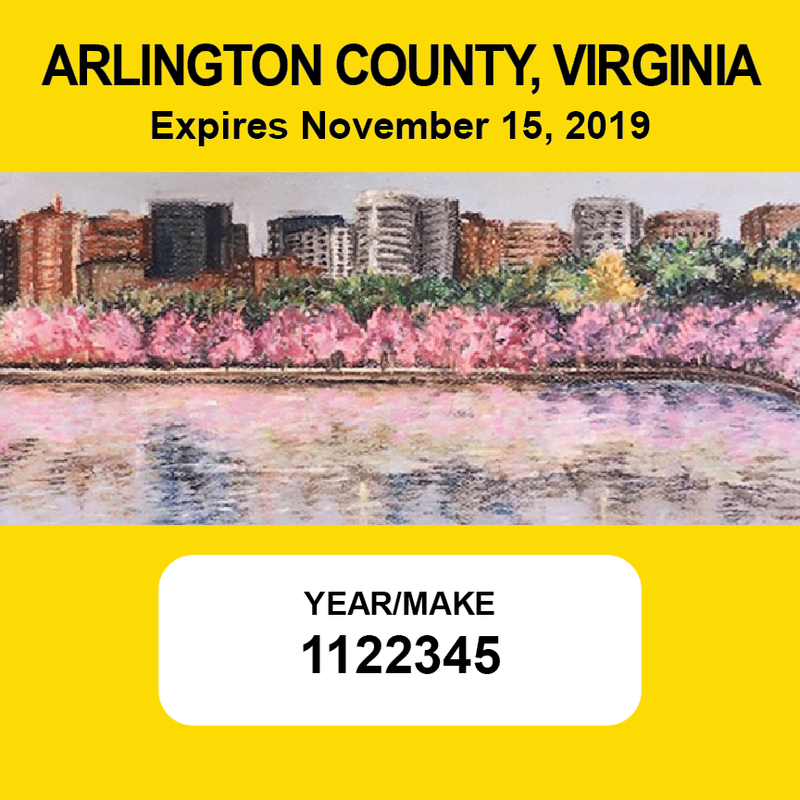 This new practice of “Early Billing” was undertaken so that bills could be provided to customers who disposed a vehicle or moved from Arlington in the first half of the year, instead of waiting until the usual billing in August for the October 5th tax deadline. By billing the tax bill closer to the time to when the vehicle is sold, disposed or moved, the potential for confusion is reduced. Need a full-service DMV? Try DMV Connect! Starting on October 1, residents in Virginia now have options when it comes to their driver's license or identification card. They can upgrade to a REAL ID compliant driver’s license or identification card, or stick with DMV’s standard credential. The Treasurer's Office does not refund tax prepayments. If you pay more than you owe, the overage will be applied towards your next tax bill. The Treasurer made an exception for deposits made in 2017, due to the uncertainty surrounding the new federal tax law. Her pastel drawing, entitled “The Arlington Skyline and Potomac River,” won by majority vote. Over 3,600 votes were tallied in the six weeks of county-wide voting, and votes came from every corner of the county. 191 Arlington high school students submitted designs. Workmaster was a finalist in 2016 and 2017, as well. She is a 12th grader at Bishop Denis J. O’Connell High School. The Treasurer’s Office used Instant Runoff Voting (IRV). For information on IRV, please read here. Go to https://capp.arlingtonva.us. Log in to your CAPP account or make a Quick Payment. Mail your payment to 2100 Clarendon Boulevard, Suite 201, Arlington, VA 22201. Visit us at 2100 Clarendon Boulevard, Suite 201 between 8 a.m. and 5 p.m., Monday - Friday. The Arlington County Board has approved an increase of 0.25 percent in the transient occupancy tax charged for hotel rooms in Arlington, which will yield approximately $1.25 million in revenue for travel and tourism promotion in the County in Fiscal Year 2017. If you’re making money offering short-term lodging in an Arlington home, you need to collect the local 5.25-percent transient occupancy tax. It is easy to comply with local regulations by following these steps. EasyPark combines the ease of coin-free/credit card-free parking with the convenience of Internet customer service. Go to easyparkusa.com to see how to purchase your EasyPark device. Read all about it HERE and how to get yours today! Did you know there's an alternative to going to the DMV on Four Mile Run? The DMV Select at Courthouse can help with many common services. If you've recently moved to Arlington, either from another state or another jurisdiction, you need to do certain things as soon as possible. If you're leaving Arlington, either staying in Virginia or moving out of the state, you need to do certain things as soon as possible. Use the Tax Calendar to avoid late filing and payment penalties. You may also choose to sign up for Billpayer Notification through the Treasurer's Office.